Video: THE NEST by Cynthia D'Aprix Sweeney. Article: The Washington Post: ‘The Nest’ review: What happens when that nest egg cracks? 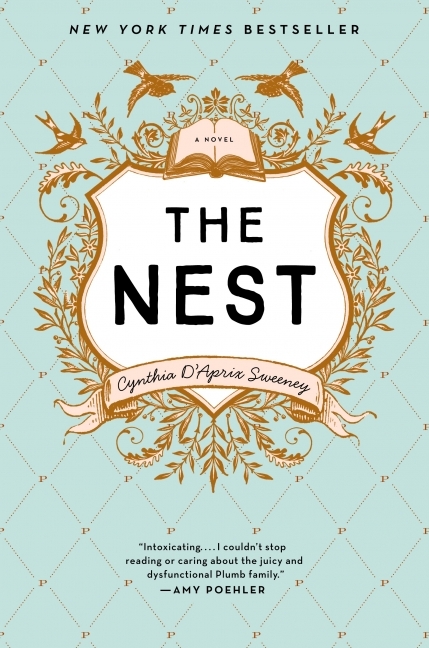 Cynthia D’Aprix Sweeney is the debut author of the instant New York Times Bestseller, The Nest. The Nest (Ecco) is a warm, funny and acutely perceptive debut novel about four adult siblings and the fate of the shared inheritance that has shaped their choices and their lives. This is a story about the power of family, the possibilities of friendship, the ways we depend upon one another and the ways we let one another down. In this tender, entertaining, and deftly written debut, Cynthia D'Aprix Sweeney brings a remarkable cast of characters to life to illuminate what money does to relationships, what happens to our ambitions over the course of time, and the fraught yet unbreakable ties we share with those we love. Previously, she lived and worked in New York City for more than two decades, writing copy for a variety of clients, including American Express, McDonald’s and more defunct Internet start-ups than she cares to count. Sweeney has an MFA from The Bennington Writing Seminars. Her non-fiction essays have been published in The New York Times Magazine and Martha Stewart Living. 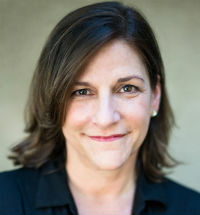 Sweeney is known for engaging audiences with the same wit, charm, and passion that is found in her writing. She is available for presentations at libraries, literary festivals, literary societies, and publishing events. Currently, she lives in Los Angeles with her husband and two sons.